A new update 4.7 is rolling out which support multiple accounts on single Android device. Earlier last month, secure messaging app Telegram rolled out update 4.6 that brought along features like granular settings for auto-downloading media, full link previews for Instagram posts and tweets, and more. 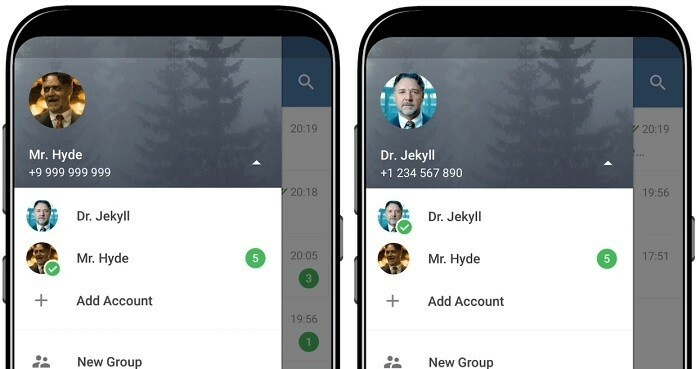 Obviously, you'll still need separate phone numbers for each account, but switching between them is as easy and seamless as it is in apps like Gmail. Some of these themes even allow users to further customize the look of the app by picking an accent color. A swipe from the left will bring out the menu where users can switch between accounts. The latest version is available in the Play Store, but you can also grab Telegram 4.7 from APK Mirror.